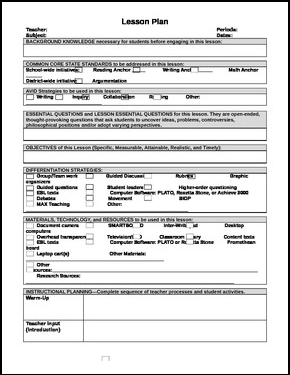 Some district have a required lesson plan template to use and others are free to use their own. 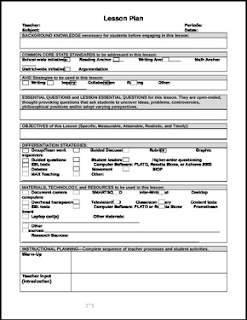 This lesson plan template breaks everything down - What do you do for a warm up, teacher instruction, guided practice, independent practice, how you will incorporate 21st Century Skills, differentiate your lessons, and what standards meet for NC. It's fantastic! I was given this by a mentor. Free for all to download.